FOR THOSE WHO APPRECIATE THE POWER OF A LEGEND. The legend of Yamaha reliability isn't the only thing handed down from one owner to the next. We’ve heard some amazing tales of reliability and performance from Yamaha boaters. There’s the family that’s been handing down the same Yamaha outboard for more than 25 years. The fishing guide who went 15 years without downtime. The guys who spent five days fishing the Keys without refueling. And then, there are Scott Connelly, Chip Deaton and Tim Boczon and their 8,700-hour Yamaha F150s. Scott Connelly and Chip Deaton, the proprietors of Charleston Water Taxi, with the 8,700-hour Yamaha F150s. How many hours do you have on your Yamaha? Find us on Facebook® and share your story. Scott Connelly and Chip Deaton are the proprietors of Charleston Water Taxi. For years they’ve counted exclusively on Yamaha F150s to power their 40-foot, 16,000-pound catamaran on multiple day trips across Charleston Harbor. These men are no strangers to Yamaha reliability. In fact, they sold their last pair of F150s to a new owner after 6,800 hours on the water. The latest twin Yamaha F150s have set a new record, and are still running strong after 8,700 verified hours. “We couldn’t ask for more from outboards we typically run for more than 10 hours straight every day.” Connelly said. When asked what they did to maintain their F150s, Connelly answered very simply, “We really didn’t do that much.” “Every time we fuel up, we add a couple of ounces of Ring Free to keep the carbon down; we keep the oil changed, and once or twice a year, we replace the plugs and water pumps, but that’s about it,” he explained. But that story’s just for starters. Wait until you hear the one about “Old Crusty”. This eight-horsepower Yamaha outboard went down with a sailboat during Hurricane Andrew in 1992. After five months submerged in corrosive water, “Old Crusty” amazed salvagers by starting up after just three pulls. And these are a couple of the many jaw-dropping accounts of outboard resilience. Yamaha boaters have shared countless stories of performance and reliability with us. To hear even more real-life, first-hand accounts of Yamaha reliability, performance and innovation visit reliabilitystartshere.com. 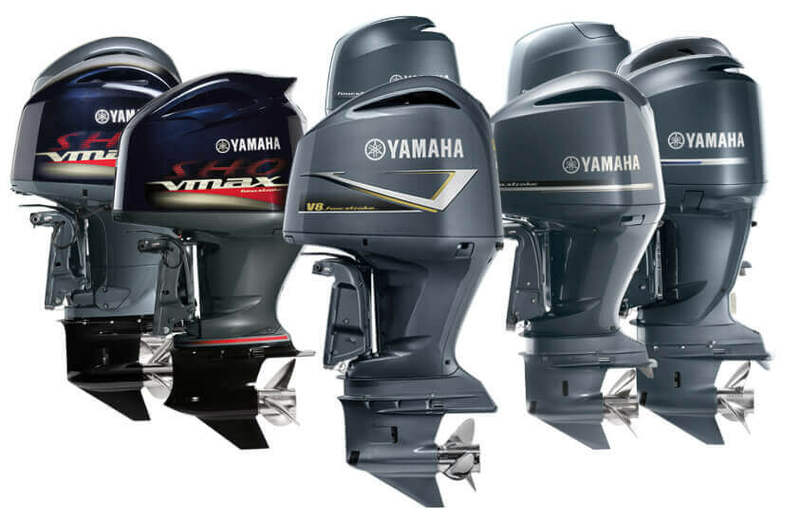 Do you have a question about our available selection of Yamaha outboards or would you like more information about a specific motor? Call us now at (865) 693-9949 or complete this form to learn more and get started towards the reliability of Yamaha outboard motors.